The advent of these novel polymorphs, such as hexagonal Ge, in cubic nanowires, promises to overcome some of the limitations that have kept these materials out of the "photonic arena" so far. The bandgap of hexagonal Ge is predicted to be direct bandgap, a fact that could have important implications with respect to the long-standing goal of designing a Ge-based light-emitting materials. Experimental data on these novel materials are scarce and are sometimes limited by the quality of the sample. In this work we used Raman spectroscopy, a common technique in our lab, to probe the vibrational properties of materials and demonstrate its versatility when it comes to the determination of the main crystalline, phononic, and electronic properties of one of the most challenging type of nanostructure: a nanoscale sample with constant material composition (Ge), but different crystal phases (cubic and hexagonal). Theoretical calculations carried out at the ICMAB by Riccardo Rurali played a crucial role in understanding and interpreting the experimental results, especially because, due to its novelty, there are no reference data on hexagonal Ge. Another positive outcome of this study, is that the general procedure that we establish can be applied to several types of nanostructures. The study was in collaboration with the Universität Basel (Switzerland), the Centre de Nanosciences et Nanotechnologies (C2N), CNRS, Univ. Paris-Sud, Université Paris-Saclay, the University of Toulouse, CNRS, and the Laboratoire de Physique des Solides (LPS), CNRS, Univ. Paris-Sud, Université Paris-Saclay (France). Reference Article: Crystalline, Phononic, and Electronic Properties of Heterostructured Polytypic Ge Nanowires by Raman Spectroscopy. Claudia Fasolato, Marta De Luca, Doriane Djomani, Laetitia Vincent, Charles Renard, Giulia Di Iorio, Vincent Paillard, Michele Amato, Riccardo Rurali, and Ilaria Zardo. 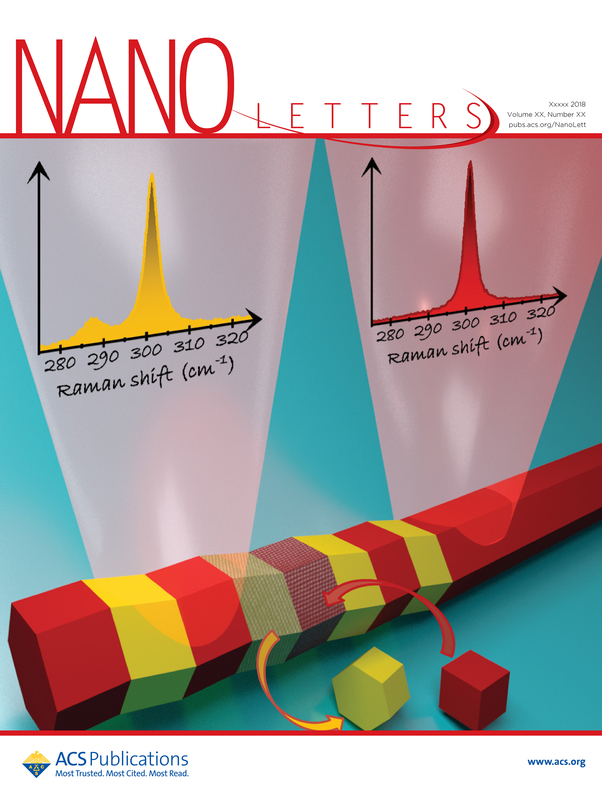 Nano Letters., Article ASAP DOI: 10.1021/acs.nanolett.8b03073.